[spoilers] The true hero of the Empire! If you have not played the campaign yet, I would suggest you click of this thread as it will contain major spoilers! First off I would like to say I liked the campaign but was also disappointed with it at the same time. Iden becoming a traitor was sadly expected but wasn’t expecting it to happen so soon. We got to play very few missions with her on the empire side before she becomes a traitor. She’s even given Finn some competition as worst stormtrooper ever. At least Finn was never really committed to the FO to begin with, but she was supposedly some highly trained special ops that seemed to not have much struggle deciding to switch sides. She had no problem protecting a planet destroying battle station that destroyed planets but somehow operation cinder crosses the line? Really? Someone on Reddit mentioned the idea of hask being the real hero of the game and I haft to I agree. We were promised a campaign story from the point the view of the empire and instead we got a campaign that was mainly focused on a traitor and her view from the resistance. The whole operation cinder thing is horrible, but that’s for another topic. Really hope we could get campaign DLC from the point of view of hask and learn how he survived the fall of the empire and joined the first order. This would be the real experience and give us a true view from someone in the empire! It would be amazing to see him take his rank in the FO and interact with Kylo Ren and the first order. What do you guys think? I agree with everything except how operation cinder is dumb. It seems to be a very common theme among Star Wars titles. The only things I've ever seen/played/read that it didn't happen in were TIE Fighter, the Darth Bane trilogy, and the novel Plagius. Let's not forget the tacked on romance arc while we're at it. I found Iden's justification for defecting weak considering like you stated she was defending the death star. Presumably she knows that the Empire blew up Alderaan which wasn't even a military target and she was not bothered by that. 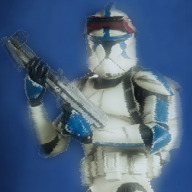 Now you're going to destroy empire planets, nope I am out boyos. Made little sense, but then again I don't expect great things from campaigns out of games like this anymore. 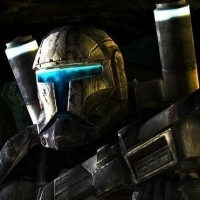 Honestly I would have preferred a remaster of the old BFII campaigns updated and inclusion of the current developing era rather than creating a cobbled together new character with weak story development. The only bits I actually enjoyed was the stuff about Luke (want to know more about what he found), and with Kylo Ren at the end. I like the campaign for the most part. Felt like some of the hero missions were forced Arcade but the Iden story was interesting to me. I do like the idea of now playing as Hask. 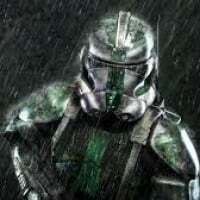 I was hoping they might do multiple small story lines in the universe with each DLC unrelated to Iden but Hask I see as being fun. I still don't get it why the Empire destroyed their own planets after the death of the Emperor. I know that leaders like Iden's father are not the smartest people and blind due to loyalty. 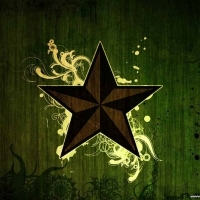 Actually, the Empire lost only their leader but was still strong and they threw everthing away. The campaign was great. It was maybe too "cinematic" and not from the Empire perspective. The emperor thought if he couldn’t lead the empire than it wasn’t worthy enough to exist. Thats the reason. Not joking. 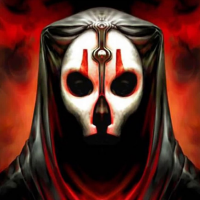 You didnt read the swbf2 book did you? after reading the book I saw the side swap coming a mile away. Well the book explains a lot of what you had listed. iden didn't like the death star and what they did to Alderaan but accepted it. Also a planet you think of as a rebel planet is different than her home planet/loyal imperial world. Nothing in the book helps the fact that that a supposedly highly trained special forces trooper had little hesitation switching sides because she didn’t like an order she was given. Iden and Del said in the confrontation with Hask that the Empire wasn't the same as the one they joined to fight for. They protected imperial citizens not slaughtered them. So they changed sides because the Empire wasn't the same Empire. But the innocent on Alderaan was okay in their eyes? You can think whatever you want about her, but i already knew everything that you’ve stated. It’s not gonna change my opinion about it. Iden and del both had problems with Alderaan but they just accepted it. The book brings up that innocent and even imperial loyal pepple were on the planet. But it was a rebel planet and it was acceptable losses. But with them attacking her home a loyal imperial planet she had issues with that. It's all understandable to me but Idk I would recommend reading the book. Then the leaders are the silliest people ever. Obviously, Thrawn had to be dead at this point. I haven't read the book, but it seems that the story group or the writeres think that it's cool to bring more twists over and over again and are too afraid to create new ideas. I don't complain. The campagin was great, just nothing new. I would like to see something like that in a CW series campaign with a little bit less cinematic story telling. The campaign's plot was atrocious in places, but the writing overall was excellent (Lando, Leia and Luke were all portrayed brilliantly) and the humour was funny as heck. Or he’s stuck in the unknown regions!? The story just felt rushed. She switched sides too early for a campaign that was the Imperial View point. Exactly. And she seemed to not struggle with the decision either. It was very rushed and a bit too cliche. But enjoyable at least. I'm very interested to see how some mysteries of the campaign tie into Star Wars canon. American citizens and military personnel were ok when the government droped nuclear bombs on two enemy civilian population centers. Even most people who were against the idea could understand and except what was being called a necessity. Do you think they would still be ok if the government decided to nuke Texas? It's absolutely not ridicules. It's the same scenario. One group at war with another, who commits horrible acts to try and win the war. People accept it because its war. People don't tend to accept when their own government starts killing loyal civilians. How is there a difference? Or are you just refusing to answer because it doesn't fit your narrative? They destroyed Alderaan which was a peaceful planet. They only destroyed Alderaan because they wanted to test out their weapon. They had no enemies on Alderaan. I started this thread to discuss the story decisions in a video game, not to debate a ridiculous comparison. I won’t be responding/debating anymore on your previous comment. If you would like to discuss the game feel free or any points made in my previous post them feel free. I don’t think PT era content is likely. of their enemy was there, which only makes it a more tactical valuable target. You are arguing that a special forces soldier would not disobey an order, I'm giving a clear real world comparison. I don't know why you refruse to debate this in good faith. Would you be okay if your government suddenly marched its forces against you hometown? It's fine to dislike the story, but why bring up a reason and then refuse to defend it? 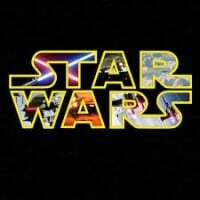 There are tons of real world analogies for events in StarWars that people ignore. This is a prime example of that. It's no different then the way people swear that no Emperor would ever have taken an action like Operation Cinder, while ignoring real world rulers who have committed terrible atrocities against their own people. If we can't base any of our debate points in something other than Star Wars, how can you possible say anything in it is unrealistic? It's obviously realistic within the context of the story, because that's what happened in the story. I'm simply illustrating how even outside the confines of Star Wars it remains well within the realm of realism. I am discussing points you made in your posts, I don't understand why you are refusing to discuss them. They destroyed Alderaan which was a peaceful planet. They only destroyed Alderaan because they wanted to test out their weapon. They had no enemies on Alderaan. What?? 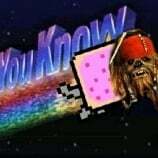 Alderaan was blown up cause it had known ties to the rebel alliance. Yeah they tested the new weapon on alderaan cause it was a rebel planet. You realize the reason Alderaan was choosen for the test right? Because it was a planet that had known ties to the rebellion... not just picked at random. I’m not arguing that. It obviously had known ties to the rebellion but it was a peaceful planet. I don't think you understand what people are saying... while yes it was a peaceful planet it also had ties to the rebellion and they just so happened to have a giant laser they needed to test so they tested it on a planet with known rebel ties that way they could see if it worked being fully powered while also eradicating the threat to their Empire. 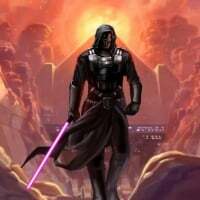 Aldeeran played a vital role to the rebellion and by taking it out the Empire not only dealt with a threat but instilled fear through the galaxy... if you didn't know one of the ways the Empire ruled was by fear. You’re Taking what I said way out of context and arguing against a point I didn’t make. It was a known peaceful planet with personal ties to Leia. It was decided to be test fired on to try and get more information out of Leia about the location of the Rebels. Alderaan was a peaceful planet yes there was probably not any issues going on the planet surface. It had known ties to the alliance. Yes it also helped that Leia was on board and they needed info. But if they wanted info from Leia a rebel leader fighting for all planet's to be free they could have picked any planet. But they didn't they chose a rebel planet her home planet. I'm sorry but I don't know how to explain it any simpler. I'm done talking to you cause you don't even want to understand. You don't have to like the story but you seem to enjoy being dense about star wars basics. Good luck hope you understand at some point maybe the story might sit a little better for you. I agree, fun campaign (altho too many hero missions in the middle) but terrible reason for turning. I followed the same logic as you. No problem when Vader and Tarkin Ordered planets and imperial garrisons destroyed with innocents on them, but operation cinder crosses the line? 2 totally different situations and you know it lol! Please lol!! Alderaan was destroyed to show fear and intimidation on a single person and control a galaxy lead by 2 guys belonging to essentially a creepy cult. Hiroshima and Nagasaki were destroyed to prevent a land invasion of Japan which would have meant millions of dead Americans and Japanese,japanese had millions upon millions of troops and civilians who refused to accept they lost the war to the Allies. Alderran wasn't peaceful. At the end of Rogue One Bail went home to prepare his people for war. One was done to prevent a war from continuing and causing further damage to the pacific and losing more life, the other was done as an act of fear and oppression and sliencing concerned voices (which disnt work seeing as the rebels still fought). Even if Alderaan was "a rebel planet" Iden still cared about civilians judging from her comments in BF2. And Alderaan was a planet with Citizens of the Empire and being a core or mid rim world, probly an imperial garrison, and we know she cares for Imperial troops too. So why would one group of civilians be expendable and another not unless...oh thats right! Bad writing. That would still make them a legitimate military target. Blowing up the planet is still extreme, but they had to show us what the Death Star could do. In Legends, even Palpatine was surprised that they blew it up. Tarkin had a new shiny red button and wanted to press it. I don’t even know what point you’re trying to make to me since I agree with what you just posted. You’re arguing against some point I’ve havent even made. Ive already said it had Rebel ties to the alliance and I understand that so I don’t know what point you’re trying to make to me. They choose Leia’s home planet, (a peaceful planet which obviously has ties to the rebellion because of Leia) but is was to test out their new weapon. They though they would test fire their new weapon on Leia’s home planet sincde they thought it might help them get the information of the location rebel base (their primary target) and yes, obviously it was chosen since it had ties to the rebellion obviously being Leia’s home planet. I made this thread mainly to discuss the campaign and hask dlc but it has turned into something else. 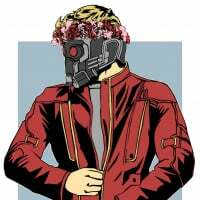 You’ve responded multiple times with responses on why her turn to the resistance is reasonable and is that is ok, you can have that opinion but you seem to have some sort of issue with me not liking that she switched to the resistance so quickly and trying to convince me otherwise of why it was reasonable. 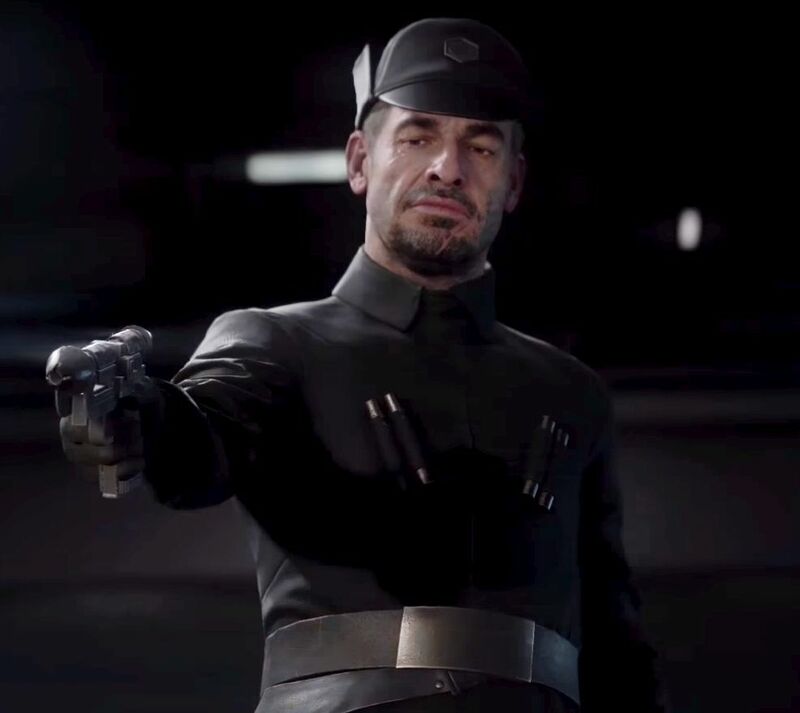 On a side note who else wants some hero outfits for Iden? I want one with the Stormtrooper and definitely the Republic outfit. Her droid that was painted was awesome looking. 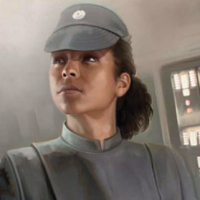 The Republic outfit would be hard since on the multiplayer she's for the Emperials but I want her for the Rebels. It would make sense because she is a Rebel now. You understand that they were civilian populations right? It was literally to strike fear into the heart of the Japanese. 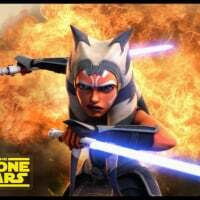 Blowing up Alderon would likely break the spirt of many in the rebellion, causing them to give up the fight. They could only muster a tiny fleet to actually assult the Death Star. If it wasn't for plot armor and the force the destruction of Alderon might as well have been the death toll of the rebel alliance. How many more live would be saved on both sides of the war if they had been successful? Millions? Billions? I understand the scale is different, but the concept is the same. By being tied to the rebellion Alderon was a possible target, just like any city in Japan was a possible target for the allies. And you guys both ignored the question. Regardless of reasonings do you really think American soilders would be ok with he goverment attacking loyal American citizens with weapons of mass destruction?